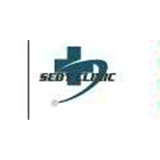 Seby Medical Center (Chicago) - Book Appointment Online! Seby clinic a family medicine practice established in 2010.The practice was found on the principles of providing the most advanced evidence based medical care at affordable cost.At seby the physician and the staff are known for their professional and cordial approach.Each patient will have a personal relation with their physician.Its our policy to make necessary arrangements for an early appointment as necessary and the ease of communication 24/7 is our atmost priority.We welcome you to the practice and we are long enough to assure you a difference that you will be happy about. Other than the insurance issue, the experience was good.